Ever want to say something witty about money on Facebook/Twitter? Looking for a witty Facebook status about money? Posted on October 30, 2013 by Financial Underdog	in silly. 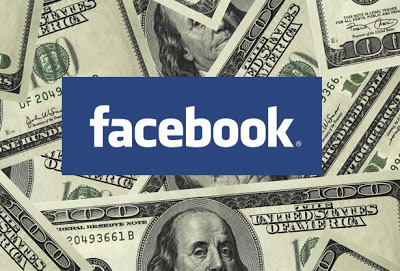 Want to say something witty about money on Facebook/Twitter? – Visa is everywhere you want to be….except out of our debt. – Most stress is caused by three things: family, money and family with no money. – When they offer you “instant credit”, don’t they really mean “instant debt”? – My credit card company called. They want me to leave home without it. – A budget is just a method of worrying before you spend money, as well as afterward. – I’ve always wanted to be one of those people who laughs all the way to the bank, instead of one who cries every time he leaves. – Money doesn’t buy happiness but it’s a damn good down payment! – You know its time to start saving when your debit card declines a $1.25 purchase. – One day I want to be “Let’s Just Take My Helicopter” rich. – Forgotten pocket money is the best!! – Always hold out your hand when someone is counting money in front of you, just in case. – “Latte” is Latin for: You paid too much for that coffee. – I’m so broke this New Year’s I’m gonna party like it’s $19.99. – Why don’t hoarders ever hoard money? – My bank lets me send a text message and it’ll text back with my balance. It’s a cool feature but I didn’t think the LOL was necessary. – Bills travel through the mail at twice the speed of checks. – Ever notice that people who spend money on beer, cigarettes, and lottery tickets are always complaining about being broke and not feeling well? – America is a country where half the money is spent buying food, and the other half is spent trying to lose weight. – I have all the money I’ll ever need – if I die by 4:00 p.m. today. – Materialism: buying things we don’t need with money we don’t have to impress people that don’t matter. – It is hard to understand how a cemetery raised its burial cost and blamed it on the cost of living. – Money talks…but all mine ever says is good-bye. – A bargain is something you don’t need at a price you can’t resist. – A bank is a place that will lend you money, if you can prove that you don’t need it.